How Safe Is Lye Soap? 4 How Does Homemade Soap Compare to Store-Bought Soap? Soaps made from lye are very common and relatively easy to make. While lye soap has been used and appreciated throughout history, it has also gained a reputation as sometimes being harsh and irritating to the skin. For this reason, and because lye itself is a caustic agent, questions may be raised about the safety of lye soap. Properly made and aged, lye soaps are very safe as effective cleansers and have a variety of uses including personal hygiene, household cleaning and clothes washing. Bar soaps, liquid soaps, laundry and body soaps can all be made with lye. Lye soap has been around for thousands of years. In fact, archaeologists have discovered ancient Mesopotamian writings on a papyrus scroll that revealed instructions on how to use alkaline salts and animal fats or vegetable oils to make lye soap. Wood ash was also used in soap making. Early Americans made soap primarily by running water through the ashes to form a lye solution, rather than using the ashes directly. While it produced a higher quality soap, the strength of the lye solution was sometimes unpredictable and occasionally produced soaps that would either not set or remained caustic. Advances in the production and quality of lye has greatly reduced any risks in commercially available soaps. 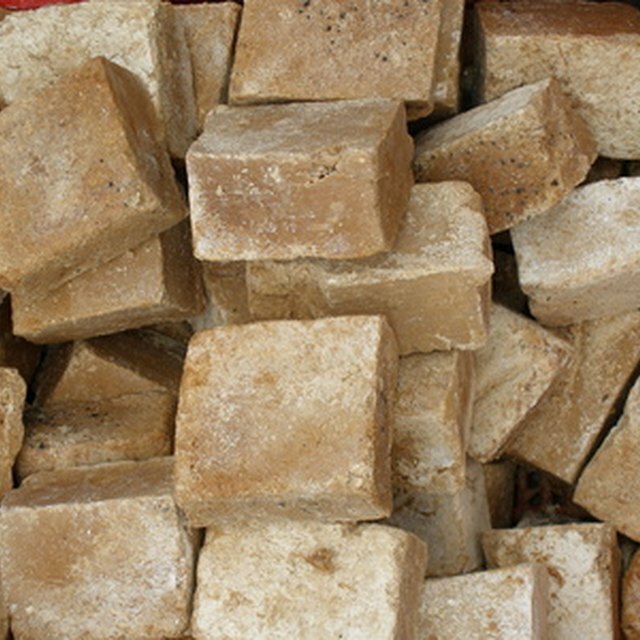 Lye soap is made through a chemical process known as saponification. A solution of lye, a chemical called sodium hydroxide, is combined with vegetable oils or rendered animal fats and heated to allow the ingredients to combine and react chemically. When the ingredients are completely combined, the hot liquid soap is poured into molds and allowed to cool and cure. The aging process often lasts for several months to allow the lye and oils to finish reacting, making it safe to use. Lye itself is extremely caustic. When making lye soap at home, caution should be taken to handle lye with great care. Lye, mixed improperly, can have explosive results. Also, lye soap that is improperly made can have too much or insufficiently mixed lye in it and remain caustic. Soap that is improperly aged can also be caustic. When exposed to skin, lye itself produces severe chemical burns. Homemade soap that is not properly mixed or cured can still have high amounts of lye and can be very irritating and even produce burns. Vinegar or other mild acids can stop the effects of a lye burn but will not reverse any damage done. 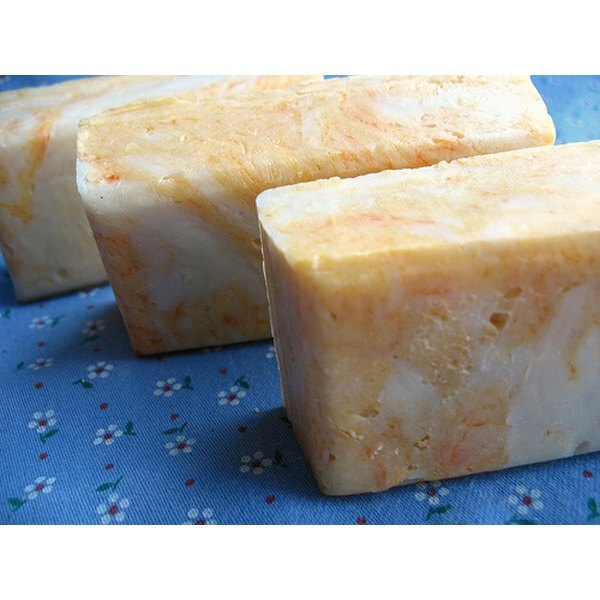 Properly made and aged lye soap is not caustic and will not irritate or burn the skin. What Is Dye Made From?